Hiking in Mauritius is definitely something you should add to your bucket list. The tropical island has some picturesque natural panoramas to boast, and you will definitely wish to include to your memories. Ideal weather conditions on the island make it a good place for hikes. So, let us explore some of the most popular hiking spots of Mauritius. The first spot to visit, be it for hiking or just to admire the view, is Black River Gorges National Park. The best period of the year to plan a hike in the gorges is between April and September. As you probably know, there is not big risk of flash rainfalls during winter time in Mauritius. Seeing as the terrain can get pretty muddy in the gorges, it is best to trek there when the weather is sunny. When you trek through the gorges towards Mare Longue, you will have the possibility to walk along the Mare Aux Joncs waterfalls. Brace yourselves for lush green sceneries. All the information you need can be obtained from the Black River Information Centre, which is the starting point of this hiking course. Sept Cascades: for hiking and maybe a bit more! 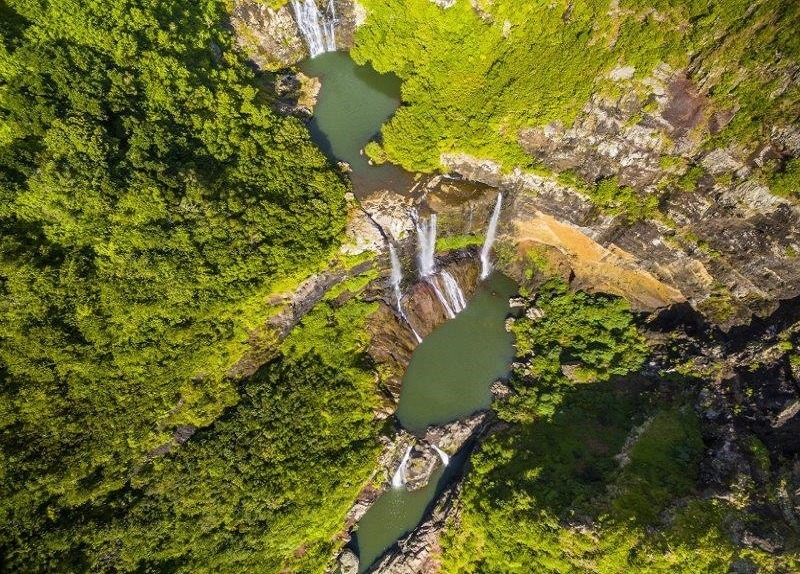 Sept Cascades, which is the colloquial name for Tamarin Falls hiking route, is a must for nature lovers. Luxuriant greenery and the iconic waterfalls make this spot perfect for group excursions. Ideally, you will want to visit Tamarin Falls with someone who knows the terrain. There are outdoor adventure companies in Mauritius that offer hiking packages for Sept Cascades; you can take full advantage of your day there by contacting them. If you want to spice things up, outdoor adventure companies also offer activities such as zip lining, abseiling and canyoning. Whether you are local or visiting the island of Mauritius, a trip to Sept Cascades promises to be exhilarating. The endemic Maccabee Forest is one of the most memorable nature walks in Mauritius. This hiking and trekking course is connected to the Black River Gorges. On this particular trail, it is habitual to encounter rare endemic birds. 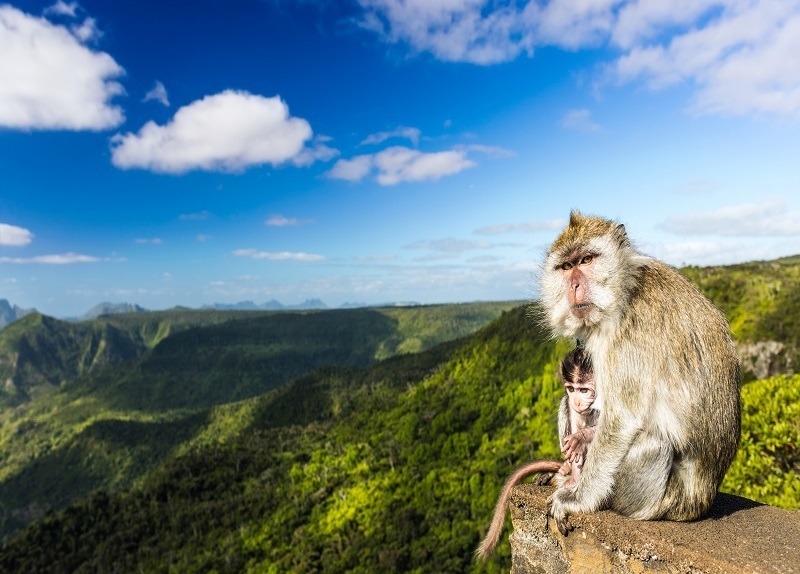 Evidently, the more responsible and quiet hikers shall get more opportunities to see endemic animals such as Pink Pigeons, Echo Parakeets and wild macaques. You will get all the info you need for your hiking or trekking adventures in this area from the Petrin Information Centre.